When I first heard about Frosting for the Cause via Twitter, I knew I had to join in. I was so excited to get the email letting me know when I would be posting! I feel very honored to be a part of this. Later, when I sat down to write my post, the emotions really hit me. My grandmother has battled cancer not once, but twice in her life. And thankfully, both times, she has won. She’s a tough old lady! Just don’t tell her I called her old. And she is not the only woman in my life to have been touched by cancer. A dear friend of mine, Denyse, recently lost both her sister and her mother to cancer. It is in honor and memory of these strong and brave women that I present my post today. 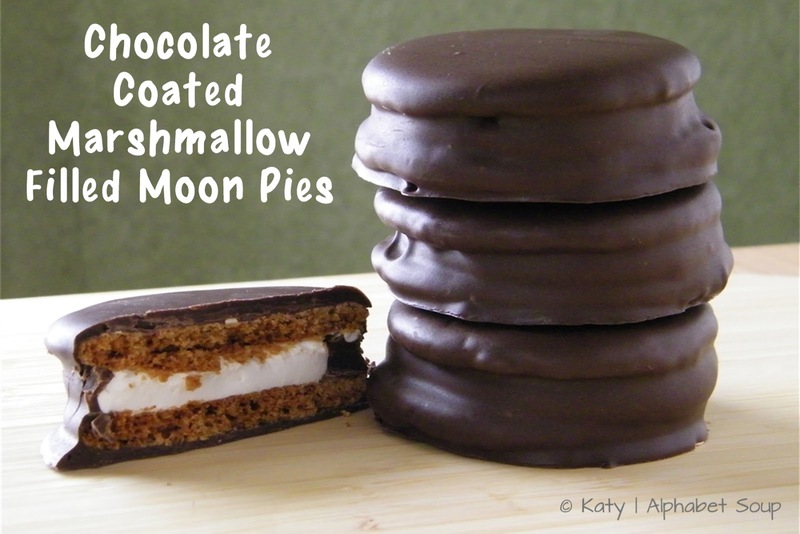 I thought long and hard about what sweet to create, and finally the moon pie won out. My grandmother loves sweets, despite being told not to have them because of recently diagnosed diabetes, and I know she will love these. I’ll only save one for her, and the rest will be donated to the local non-profit hospice. Moon pies are made from marshmallow sandwiched between graham cookies and dipped in chocolate. How can you go wrong with that? Be warned, this is not an endeavor for the neat freak -- the marshmallow making process can get quite…sticky. But I have included some alternative solutions at the end of the recipe. First, make the graham cookies. In the bowl of a food processor fitted with the steel blade, combine the flours, brown sugar, baking soda and salt and pulse just to mix. 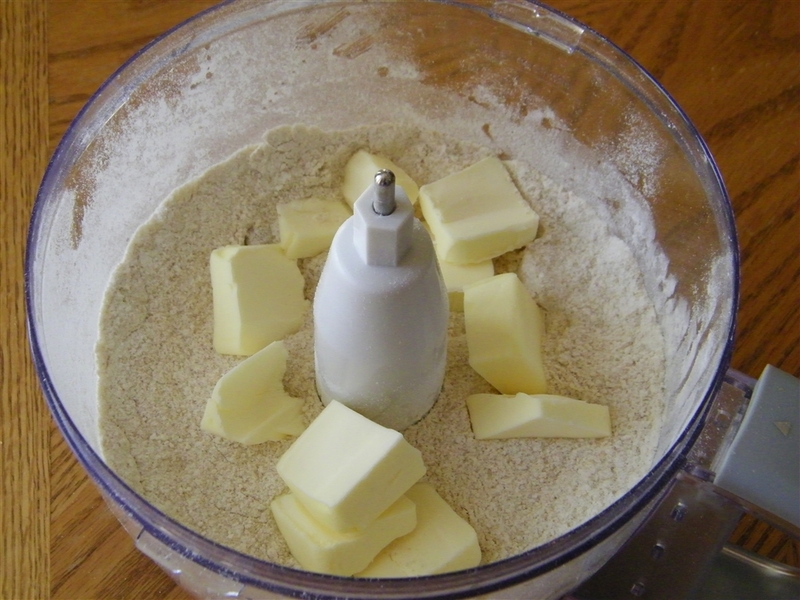 Cut the butter into several pieces, add to the flour mixture, and pulse several times until the mixture resembles a coarse meal. In a separate bowl, whisk together the honey, milk and vanilla extract. 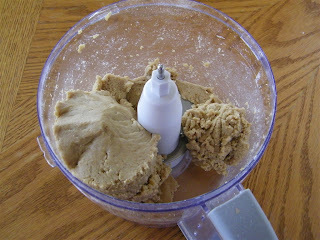 Add to the food processor and pulse until the dough comes together. Don’t worry, the dough is supposed to be very soft and sticky at this point. Wrap the dough in plastic wrap and chill in the refrigerator for 2 hours, or overnight. 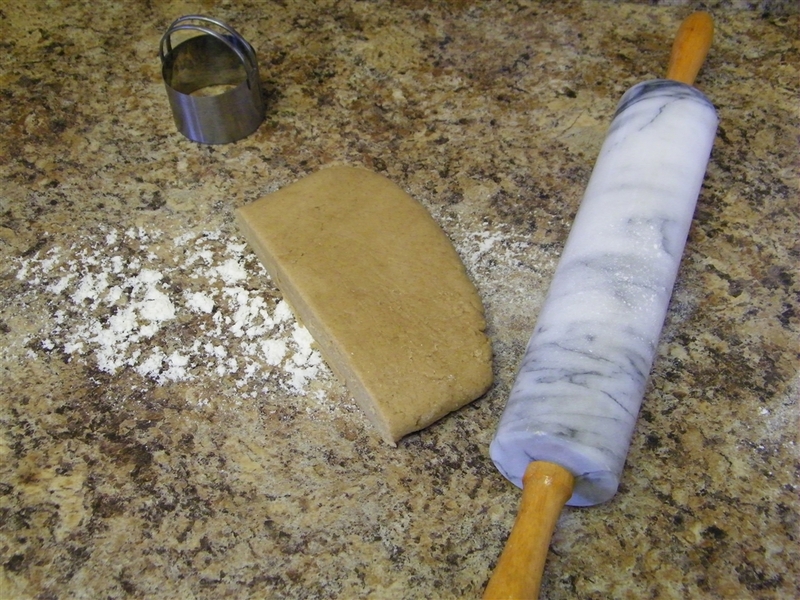 On a floured work surface, roll out half the dough to 1/8-inch thick (keep the other half of the dough in the refrigerator until ready to use). 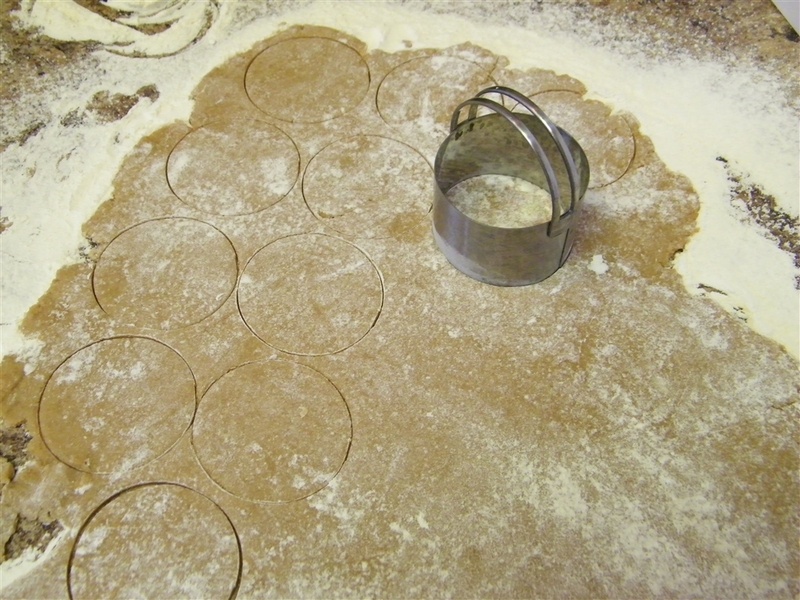 Use a 2 ½ inch round cutter and cut as many circles as you can from the dough. You can re-roll the scraps, but it’s better to get as many from this first pass as you can. Place the circles on a baking sheet lined with parchment paper. Put the baking sheet in the refrigerator for 30-45 minutes, or in the freezer for 15-20 minutes. 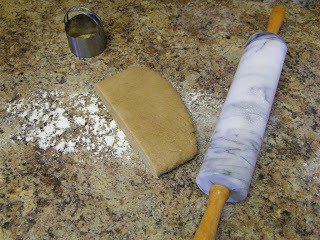 Repeat with the other half of the dough, as well as re-rolling any scraps you have leftover (you may need to chill them again before re-rolling). 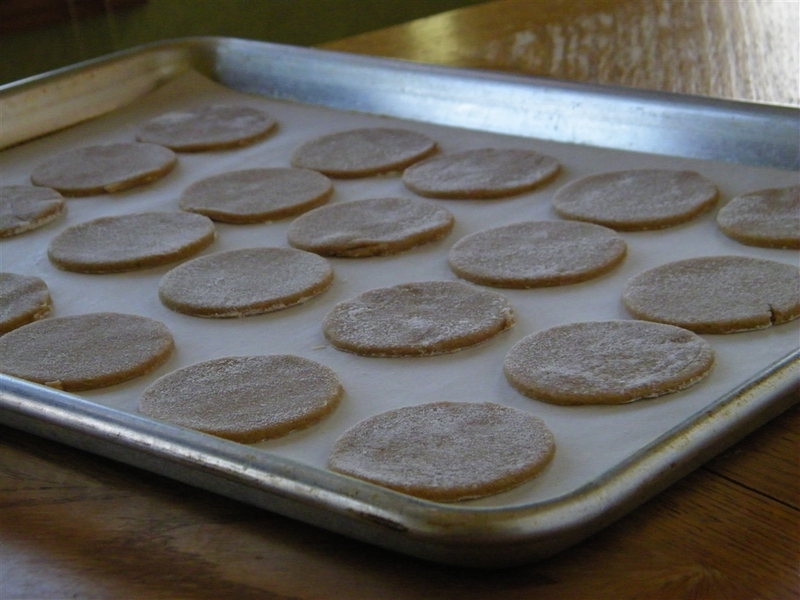 Let cookies cool on the baking sheet for a few minutes, then remove to a wire rack to cool completely. While they are cooling, prepare the marshmallow filling. 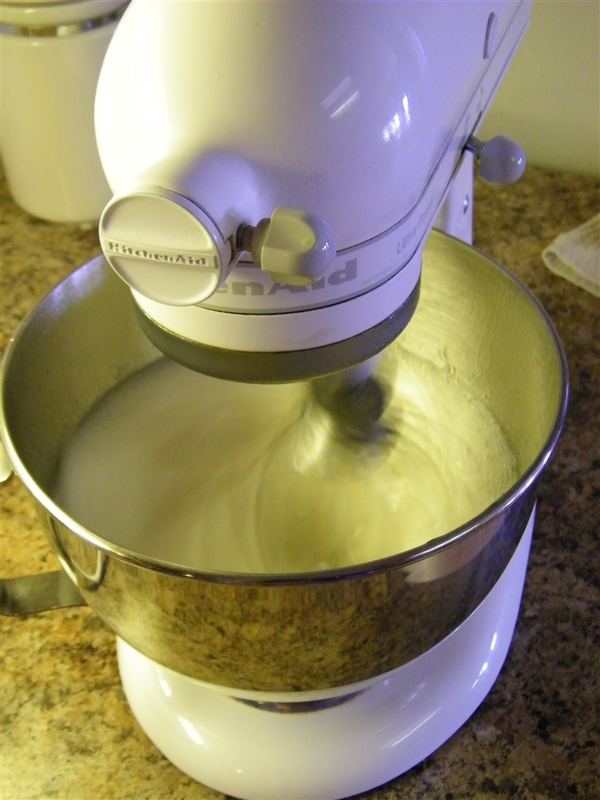 Place ½ cup of the water and the gelatin in the bowl of a stand mixer (use the whisk attachment for making the marshmallows). Combine the remaining ½ cup water, granulated sugar, corn syrup and salt in a small saucepan. Place over medium-high heat, cover and let cook 3-4 minutes. Uncover, clip a candy thermometer to the pan and allow to cook until it reaches soft ball stage, or about 240’F. I think this took mine close to 10 minutes. You don’t have to hover when you first start it, but don’t walk off and forget it! Once you reach this temperature, immediately remove the pan from the heat. Turn the mixer on low speed, and carefully pour the sugar syrup down the side of the mixer bowl into the gelatin. 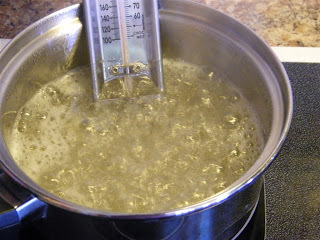 After adding all of the syrup increase the speed to high and continue to mix until it becomes very thick and fluffy. The original recipe states this will take 12-15 minutes. I didn’t time mine precisely, but I think it was closer to 10 minutes. I could “hear” a change in the way my mixer sounded, and that and the look of the mixture is what I went by. 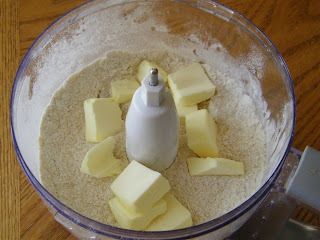 Add the vanilla about one minute before you are done beating the mixture. Transfer the marshmallow filling to a large (gallon size) resealable plastic bag. Smush it all down to one side and snip off the corner with scissors. 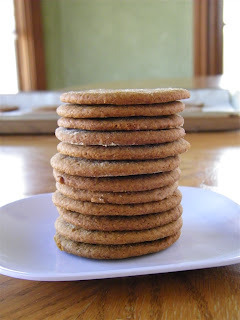 Place half of the cooled cookies onto a sheet of parchment paper, and have the remaining cookies standing by. 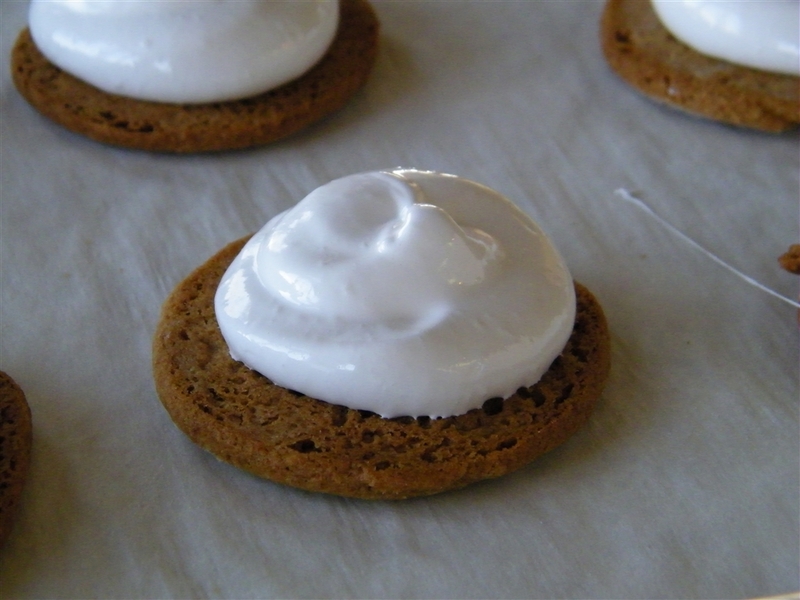 Squeeze a dollop of the filling onto each of the cookies on the parchment paper. Top with the remaining cookies, pressing lightly. Let set at room temperature for about two hours, or until the filling has set up. Once the filling has set up, melt the dipping chocolate according to the package directions and allow to cool just slightly. Working with one at a time, gently drop the cookies into the melted chocolate. Using a fork, turn to coat, then lift out and allow the excess chocolate to drip back into the bowl. Place on a parchment lined baking sheet and allow to sit at room temperature for 1-2 hours or until the coating is firm. Makes approximately 30 sandwiches. Enjoy! 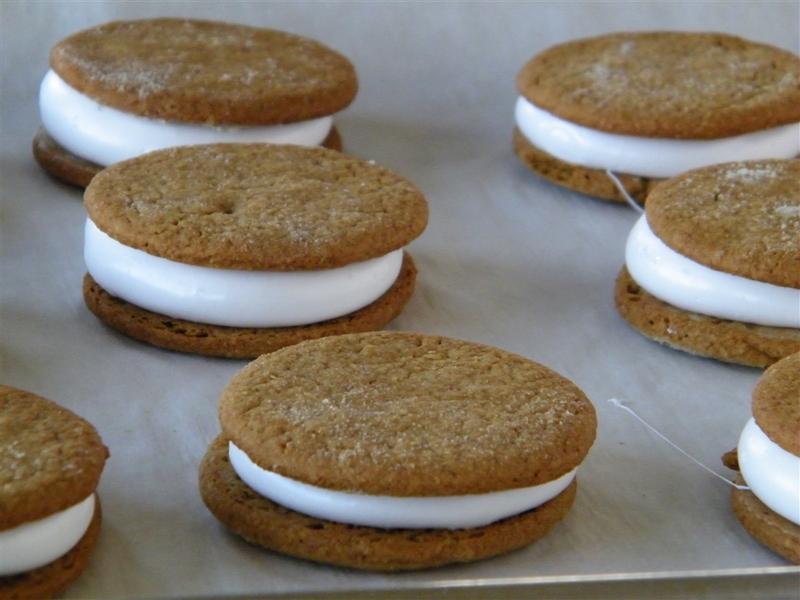 Alternatives: If you don’t want to make your own marshmallow filling, buy the jar of marshmallow crème at the store and use that to fill the sandwiches. 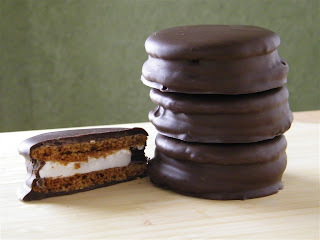 You can also use the large marshmallows, cutting them in half, placing them on the bottom cookies, and putting in a low oven for a couple of minutes until warmed. Remove from the oven, top with the second cookie, allow to cool, and proceed as directed.